Under the general direction of the Vice President of Academic Affairs, the Dean of Natural, Social and Applied Sciences (NSAS), joins a collaborative team of instructional and student services administrators responsible for providing leadership in supporting student success at Contra Costa College. 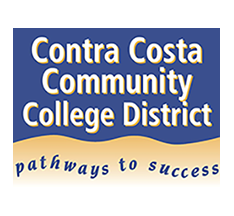 Contra Costa College serves about 10,000 students, credit and non-credit, who pursue transfer preparation, career education and foundational skills. The College’s student population reflects its surrounding diverse communities. Serving predominately African American and Latinx students, Contra Costa College is situated in a socioeconomically diverse, resilient and culturally vibrant community. As a proud Hispanic Serving Institution, we seek candidates who embrace our community, our student population, and our central work: strengthening West County by meeting our students where they are and helping them get to where they want to be. We seek a colleague who operates with a growth mindset, a strength-based approach centered on students, and an unflinching commitment to equity, especially concerning the elimination of barriers to college access, success, and completion. The ideal candidate will be eager to help construct and maintain a culture of continuous improvement in instructional effectiveness, student service, and leadership. The NSAS Dean will guide and support instructional programs aimed at improving the economic and social vitality of our community. The NSAS Dean will be directly responsible for administrative oversight of the following academic areas: African American Studies, Anthropology, Astronomy, Biological Science, Business, Business Office Technology, Chemistry, Computer and Communications Technology, Computer Information Systems, Computer Science, Economics, Engineering, Geography, History, LaRaza Studies, Physics, Political Science, Psychology, and Sociology. Note: New employees will be placed at the first step which is $9,389 per month, second step $9,864 per month, third step $10,363 per month (depending upon experience). Based on current salary placement guidelines, all step increases for which an employee becomes eligible shall take place on July 1st of each fiscal year. These increases will occur, on an annual basis, until the maximum step of $11,439 per month is reached on the salary schedule. Under administrative direction of a higher-level manager, oversees division(s) or areas of a college or District instructional, student and/or support services operation. Manages and evaluates assigned managers, supervisors, department chairs, faculty and staff, in conformance with appropriate policies and procedures. Carries out complex projects and special programs. A Dean serves as a division/area administrator, overseeing the delivery of instructional, student or support services programs within a defined area or divisions. A Senior Dean can have multiple major programs reporting to the position and may supervise lower level Deans and administrators. The Executive Dean classification is reserved for the oversight of major college-wide or Districtwide programs, projects or large offcampus centers. Duties/essential functions may include, but not be limited to, the following: Provides vision and leadership for a diverse, dynamic and innovative community of faculty, staff and students. Provides year-round leadership, management, participation and development of an instructional, student, and/or support services division’s day, evening, weekend, inter-session and summer programs. Assists in the hiring process of management, faculty and classified staff for assigned division or area and recommend personnel actions to supervisor. Assists in the training of assigned managers, supervisors, faculty and classified staff. Evaluates assigned managers, supervisors and classified staff. Assists in the evaluation of faculty. Organizes and manages the operation of the assigned division or area office; coordinates and administers its budget. In collaboration with faculty, develops curriculum, supports a variety of methods of instruction, including computer-assisted instruction and distance learning, and ensures course and program articulations are kept current. With division faculty, staff, and other administrators, manages the preparation of the class schedules, catalogs, brochures and other printed or electronic materials for the assigned division(s). Facilitates grant applications for assigned division or area, manages grants, and prepares required reports. Serves as liaison to other college divisions, areas and services, advisory committees, individual students and student groups, and appropriate university, school and other off-campus and community groups. Serves on college and district committees as assigned. Organizes, manages and participates in the annual planning and budgeting process in cooperation with managers, supervisors, faculty and classified staff and in concert with college goals for assigned division or area. Manages the approved annual budget for assigned area. Accurately interprets applicable laws, regulations and collective bargaining contract provisions. Responds to and seeks resolution of complaints arising from division/area activities, including participating in the process of collective bargaining contract grievances. Provides leadership for and assists with departmental program reviews. Assists in accreditation process. Supports a climate that promotes innovation and improved service to students and the community; cooperates with area staff and other managers to develop processes that are student friendly and supportive of student success. Manages and participates in the continued evaluation and improvement of the assigned area’s instructional, student, and/or support services programs. Promotes the assessment of student outcomes in order to determine the effectiveness of student learning and student development programs in the area. Assists in the coordination of area programs with those of other institutions and in the development of partnerships with external agencies. Actively participates in and supports college and District shared governance components and activities and other collaborative processes. Employs appropriate techniques and strategies to resolve disputes and to enhance communication and cooperation among the members of the college and District communities. Interpret and analyze appropriate laws, policies, rules and procedures to determine impact on assigned instructional or student services division or program area and oversee compliance and reporting strategies. Travels throughout the District in carrying out responsibilities and functions. Performs other related duties as assigned. Earned master’s degree or equivalent from an accredited college or university. Experience: Equivalent to at least three (3) years of full-time instructional, student, and/or other relevant support services experience. Equivalent to one year’s experience in a lead role such as a department chair, etc. License/Certification: Ability to obtain a valid Class C California Driver’s License. Computer-based technology for management of assigned divisions/areas and for instructional, student, and/or support services; the goals of shared governance; principles and practices of administrative organization and management, planning, supervising and evaluating the work of others, employee motivation and training; applicable federal, state, local, District and college laws, rules and regulations, and collective bargaining contract provisions; complex business level English usage, spelling, grammar and punctuation; modern office tools such as computers and printers; typical modern office computer software programs; report and presentation writing. Use organizational skills that enable performance of duties in a timely fashion with attention to detail; effectively communicate orally and in writing; manage financial resources effectively including determining how best to utilize resources and managing budgets and expenditures; use personal computers utilizing typical office software applications, including the Internet; work effectively with managers, faculty and staff in a participatory governance environment to accomplish the goals and objectives of the college and the assigned divisions or areas; exercise good judgment; communicate effectively and constructively with persons of diverse cultures, language groups, and abilities; demonstrate understanding of, sensitivity to, and respect for the diverse academic, socio-economic, race, ethnicity, gender identity, sexual orientation, age, politics, philosophy, disability, and religious background of all students, faculty and staff; establish and maintain effective working relationships with those contacted in the course of work. Demonstrated experience in working collaboratively with instruction, administration and student services programs in support of college’s goals and initiatives. Demonstrated experience in practices and principles of personnel management and evaluation, budget development and monitoring, and preparation of proposals and plans of action. Demonstrated experience utilizing data to assess program effectiveness and inform ongoing program and schedule development. Demonstrated experience and knowledge of instructional practices and student success strategies for moving students beyond basic skills to college level coursework. Possess cultural competence to engage in effective and respectful communication with faculty, staff, and students from diverse racial, ethnic, cultural, and socioeconomic backgrounds. Possess strong oral and written communication skills to facilitate cross-disciplinary conversations regarding scheduling, resource allocation, and other topics appropriate to division-level decision making. Demonstrated understanding of, and commitment to, diversity for students and employees in an educational environment. Demonstrated understanding of and commitment to participatory governance. Newly hired employees may notify the respective union (Local 1 or United Faculty) if they opt to join and/or authorize payment to the union. If the newly hired employee authorizes payment to the union then the following fees apply: Local 1 has a one-time initiation fee of $45.00 and monthly contribution of 1% of gross pay +$1. United Faculty has an agency fee of .55% of gross pay plus $2.50.